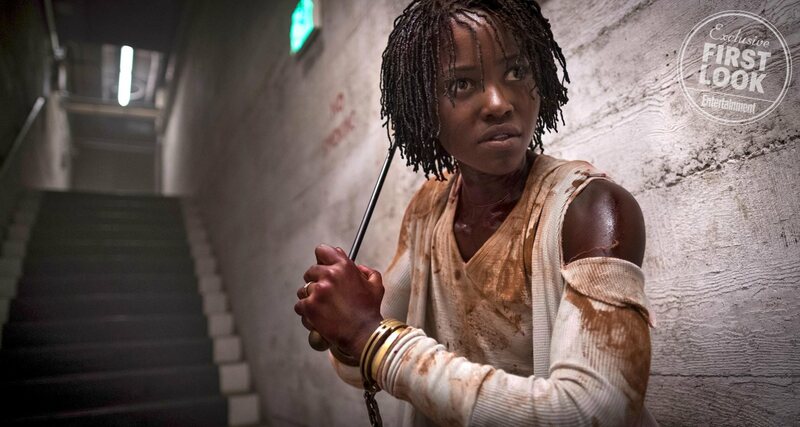 Jordan Peele’s Us has only just hit theaters this weekend, and fans are already crawling through the film’s dense imagery for any sort of fun Easter Eggs the horror-loving filmmaker may have hidden. Thankfully, Peele loves discussing his influences and has already started to reveal some of the pic’s deep cut references, including a direct nod to The Lost Boys in its very first scene. Though The Lost Boys is set in the fictional town of Santa Carla, the movie was mostly shot in Santa Cruz, including many sequences set on beach town’s iconic boardwalk. This same boardwalk is featured throughout Us, appearing in one of the film’s earliest and most terrifying scenes, set only a year before The Lost Boys‘ release. In an interview with Uproxx earlier this week, Peele revealed that he saw an opportunity to slip in a reference to the 1987 vampire flick, and took it. It’s fun to imagine that one of the most frightening sequences of Us is happening just out of frame of The Lost Boys. Peele, who won an Academy Award for writing Get Out in 2017, has gone on the record many times about his love of the horror genre, and it’ll be interesting to see how many Easter Eggs he slips into his future works. After all, his take on The Twilight Zone is right around the corner, set to premiere on CBS All Access April 1st.